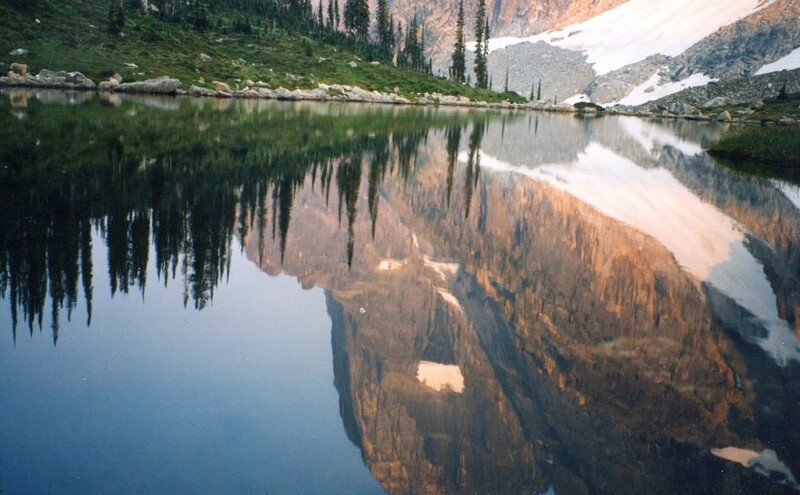 Octopus Creek flows into Lower Arrow Lake. The recreation site is located at the mouth of the creek in a crescent bay. Boaters find it a safe retreat for waiting out storms and sudden winds. During low water, there is an expansive sand and cobble stone beach. Kids can spend endless hours here playing in the water, and moving sand and rocks around. The water warms up later in the summer and is quite pleasant for swimming and board sailing. 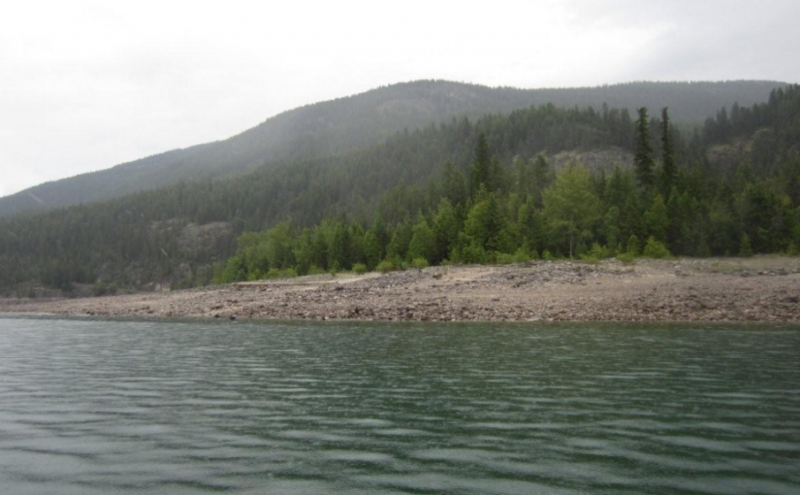 Arrow Lake is known for Kokanee fishing. However, if the fish are not biting, there is still lots to do at Octopus Creek. Hikers can hike up the creek searching for the natural hot springs. At low water there is miles of beach to walk. 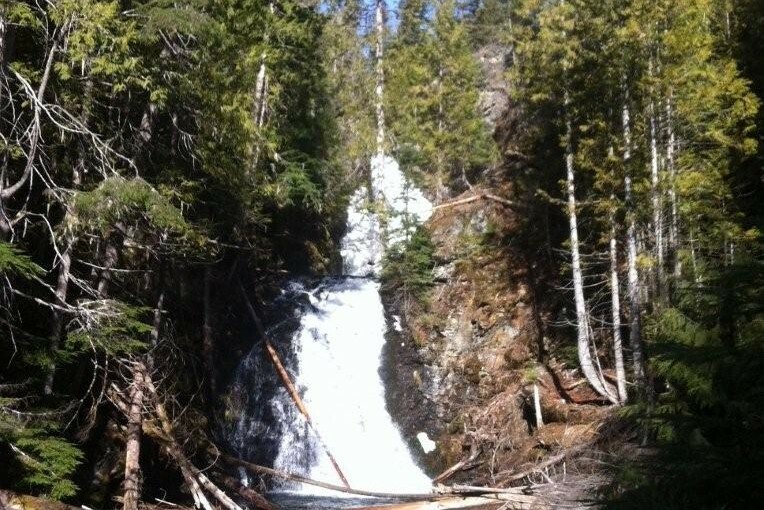 Deer Creek Falls is an easy walk on a good trail. This trail is suitable for all ages and abilities. Along the trail, are some unusually large white pine and Ponderosa pine trees. As the trail descends gently into the creek draw, the temperature drops, making this a good trail for a hot day. The Deer Creek Falls cascade in two tiers through the gorge. The upper fall is narrow and drops into a pool before cascading over the lower fall. The crystal clear pool at the foot of the lower fall invites dabbling. The entire scene is framed by a lush cedar forest. Bring a picnic lunch to enjoy at the table, while you cool off by the falls. In the autumn, look for mushrooms on the lower portions of the trail. At other times of the year, shade loving plants such as Indian Pipe can be found. On your way up the trail, rest on the bench and take in the peace and quiet of the forest. The only sounds you will hear will be the birds in the forest. 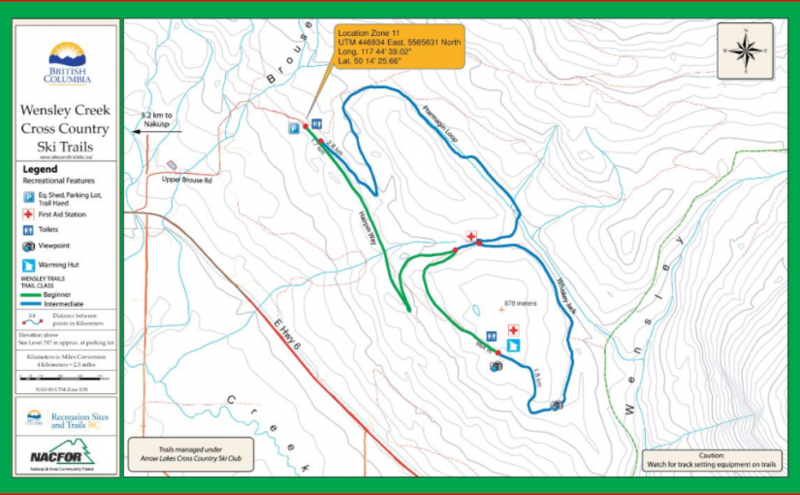 Driving Directions:Just before the yellow gates in Syringa Creek Provincial Park, turn right onto the “Deer Park Forest Service Road”. Follow this narrow, good 2 wheel drive gravel road for approximately 13.5 km. Turn right onto the “Deer Creek Forest Service Road”. Follow this road for 3.5 km. Turn off to the left, onto a dirt track. Park at the trailhead. 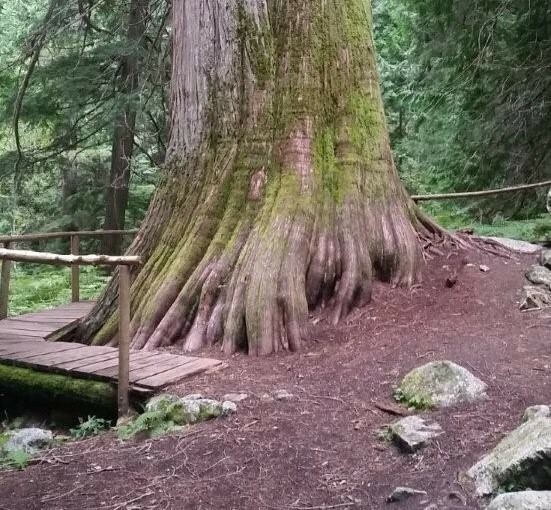 This is an easy to moderate interpretive trail through an old cedar/hemlock forest. 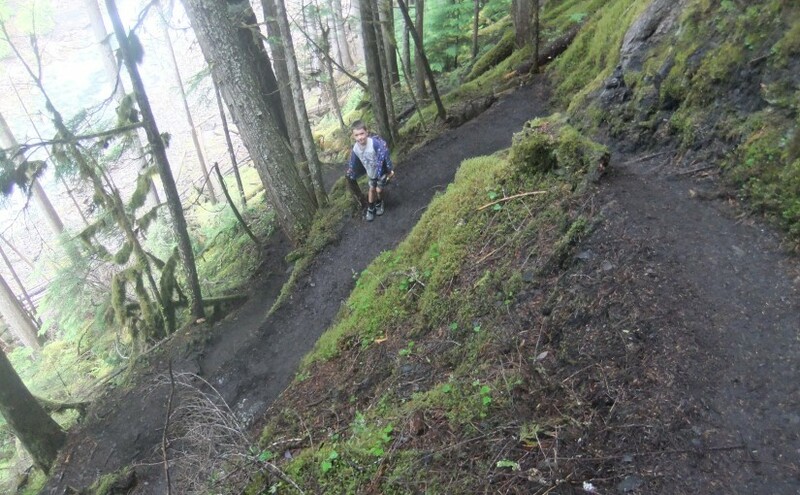 Features of the trail include large stands of huge cedar tree, lush creek side habitat, an avalanche path, and historic remains of turn-of-the-century mining and logging. Driving Directions:Travel east of Nelson for 19.0 km on highway #3A to the Gibson Lake/Kokanee Glacier Provincial Park access road. Travel along the access road for 11.4 km to the trailhead sign. Parking for 6 vehicles is located approximately 50 meters beyond the trailhead sign. 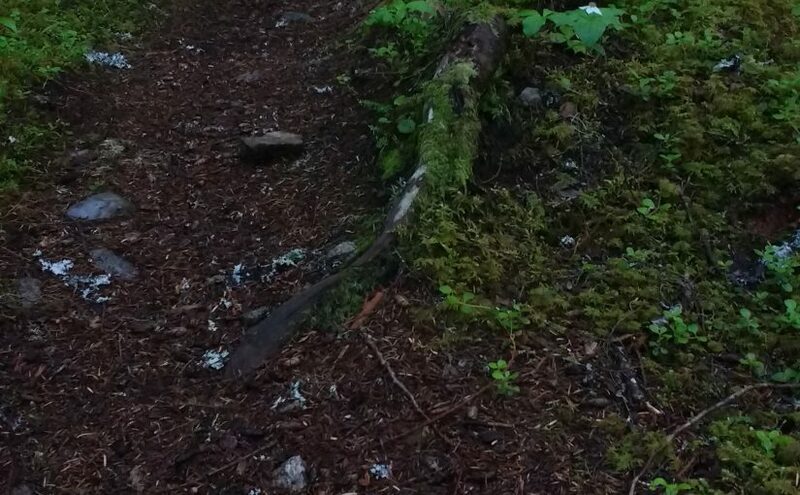 When starting the trail, keep to the left at the fork. The right fork leads down to a viewpoint. A small, semi-open, lakeside campsite. 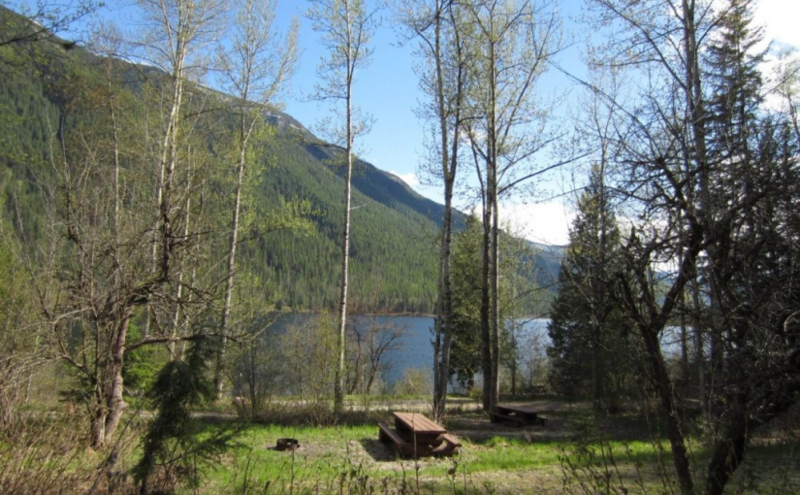 Driving Directions:The most popular access to Little Slocan Lakes campsite is from Passmore along Highway 6. As you drive through Passmmore heading north turn left off of the highway onto Passmore Upper Road. Cross the river and follow the road for 3.7 km. Turn left onto the Little Slocan Forest Service Rd.. Stay on the main road for approx 21 km to the recreation site on your right.